Working with electricity is one of the most dangerous tasks a worker can perform. Accidental electrical shocks can cause serious injuries and, in some cases, even death. Whether you have been injured as a result of a workplace electrocution, or an electrocution caused by a condition created by a third party’s negligence, the Raleigh electrocution injury attorneys of Maginnis Law can help ensure you recover the full compensation to which you are entitled. To speak with North Carolina attorney Shawn Howard, call the firm at 919.480.8526. You may also send a confidential email using our contact page. 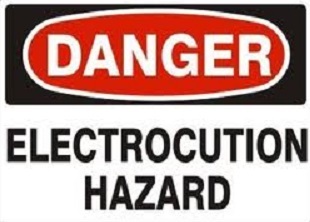 Electrocution may be caused by any number of conditions. Some of the most common include defective equipment, improper wiring, and contact with an uninsulated power line. If you were electrocuted in the course and scope of your employment, you have the right to proceed with a Workers Compensation claim before the North Carolina Industrial Commission. The compensation available through the Workers Compensation system is, however, limited. For instance, you are not able to recover damages for physical and mental pain and suffering, and lost wages are capped at 2/3 of your average weekly wage. Because of the limited damages available through the Workers Compensation system, it is important to always investigate whether you may have a third-party negligence claim. These are civil claims against companies or persons other than your employer whose negligence caused your electrocution. While you can rarely sue your employer directly, there is no prohibition on pursuing other contractors or persons whose careless conduct caused your injuries. Maginnis Law can assist you with the process of pursuing these third-party claims. Our firm has handled multiple third-party negligence claims arising from work-place injuries and can assist you in locating and hiring competent experts to prove your claim. Successfully pursuing a third-party claim can be the difference between only a partial financial recovery and a full financial recovery that helps put you back on your feet. (5) Loss of use of a body part. Additionally, if the negligence of the third-party was so reckless that it can be found to be “willful and wanton,” you may be entitled to punitive damages. These are damages designed solely to punish the third-party for their irresponsible conduct and encourage them to follow proper safety protocols in the future. If you have been injured in an accidental electrocution, the North Carolina electrocution injury attorneys of Maginnis Law will provide a free consultation to discuss your legal options. Additionally, we offer contingency fee arrangements – meaning that if you choose to retain our firm, you will pay no attorneys’ fees unless and until we make a financial recovery on your behalf. To discuss your electrocution injury with Maginnis Law attorney Shawn Howard, call the firm at 919.480.8526. While our firm is centrally located in Raleigh, we assist injured North Carolinians from Asheville to Wilmington, including in the Raleigh, Durham, Henderson, Winston-Salem, Greensboro, Fayetteville, Greenville, and Charlotte areas.